Jeremy Buckingham, the NSW Greens spokesperson on Mining and Agriculture will introduce legislation to introduce clear no-go zones for mineral and gas exploration, mining and gas production. The Greens Responsible Mining (Protecting Land, Water and Communities) Bill is a response to the demands of the NSW public to bring to an end the failed adaptive management and co-existence strategies of successive Governments that have seen mining and coal seam gas encroach on our agricultural lands, communities, and environment. The challenge to secure agricultural land and water supplies to ensure we can continue to produce enough high quality food for the Australian and global population requires a clear segregation policy, a precautionary approach to extractive industries that prioritises the protection of food producing land and water. The Responsible Mining Bill offers a clear alternative to the O’Farrell Government’s Strategic Regional Land Use Policy which ignores the Liberal and National Party’s own election commitment by failing to implement protections for those places where mining and other extractive industries simply should not occur. Drinking water catchments, rivers and productive ground water sources. Empower local councils to make the final decision about mining and gas developments. NSW is currently suffering a death by a thousand cuts when it comes to mineral and gas exploration, mining and gas production. 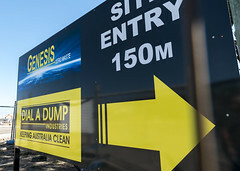 Many developments on their own may not have catastrophic impacts but the cumulative effect of project expansions, new green field developments and the layering of coal seam gas development next to coal mine has shown the ability if left unchecked for these industries to dominate landscapes, communities and the environment. Today approximately 30% of the state is covered by petroleum exploration licences. Even more land is covered by mineral exploration and many applications for new exploration licences are currently before the Government. The Government proudly projects a massive expansion in mining over the next decade and has proclaimed its intentions to develop a coal seam gas industry in this state. The NSW community feels under siege by mining and gas exploration and development. At the moment in NSW there is not a single place a person can move to where they can be guaranteed not to be subject to mineral exploration or mining or gas development. The Government and industry assertion that mining and other landuses can co-existence have proven false as the impact of producing coal seam gas in the United States and Queensland, where this industry is far more advanced, have become more widely known. 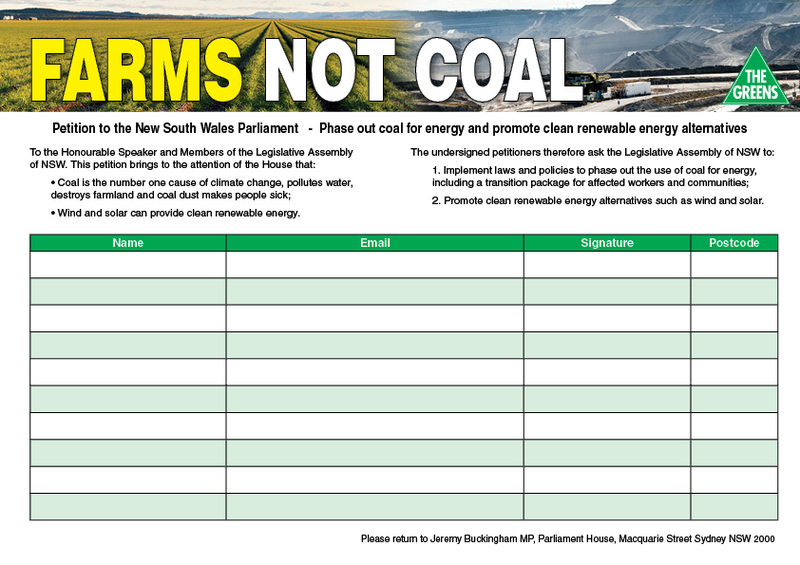 In NSW the encroachment of coal mines on villages like Camberwell and the loss of agricultural land more widely in the Hunter Valley further weakens the co-existence argument. Putting in place a network of mining and gas no-go zones is the only way we can ensure our land, water and communities are protected. Mining and other extractive industries access finite, non-renewable resources. While we need many of these resources to support our communities and economy, the extraction and processing has a significant impact on other life dependent resources including food producing land, clean water, clean air, a safe and healthy environment in which to live, and a stable climate. Responsible Mining is a model to manage these finite resources as demand for both mineral resources and other natural resources increases. A Responsible Mining approach looks to conserve mineral resources for the long-term benefit of the public while minimising the negative impacts and protecting those natural resources we rely on for survival like water, air and food producing land. In 2005 a range of non-government organisations developed a discussion paper titled A Framework for Responsible Mining[i]. The lead chapter was titled: Deciding whether mining is an appropriate landuse. The arguments for the importance of no-go zones are clearly outlined in this paper and no-go zones are seen as a critical step to address the negative impacts of mining on communities. While a complete framework for responsible mining would deal with issues as diverse as where mining could occur, managing health impacts, environmental protection, a fair local return from mining profits, creating local employment and training opportunities, respecting indigenous land tenure and sustainable mineral use and recycling, this legislation deals specifically with No-Go Zones as a way of addressing the immediate landuse conflict in NSW. This bill sets out a range of no-go zones or areas that will now be off-limits to mining and gas exploration and production. Currently mining and coal seam gas exploration and development is occurring close to and under residential communities. In Sydney, AGL’s Camden Gas project is slated for expansion into the Camden and Campbelltown local government areas, parts of Sydney Southwest growth corridor. International, Queensland and local experience has demonstrated that subsidence, air quality and health impacts, well explosions and polluted waterways are likely impacts from mining and gas development. These risks are completely unacceptable in and around urban areas whether residential or where people work in non-mining industrial and business areas. National Parks, State Conservation Areas and other parks in the NSW reserves system. Mining and extractive industries are already prohibited in National Parks in NSW but not in state conservation areas (SCA) and other reserve types. In fact the key difference between a National Park and these other areas is that mining is allowed. Although there are around 800 parks and nature reserves managed by the Office of Environment and Heritage as part of its reserve System, only 199[ii] are national parks with the highest level of protection. These other areas are identified in the reserve system for their natural assets and often the presence of endangered ecological communities and threatened species. If an area is gazetted as a reserve for environmental and recreational purposes whether a National Park or a Nature Reserve it should be protected from mining which is clearly an incompatible use when considered against the environmental and social objectives of these reserves. The Government’s Strategic Regional Land Use Policy deals exclusively with what is termed ‘strategic’ agricultural land or the ‘best of the best’. The draft plans for the New England North West and Hunter show that massive areas of productive agricultural land is left out of the plans and would be subject to mining and coal seam gas proposals. 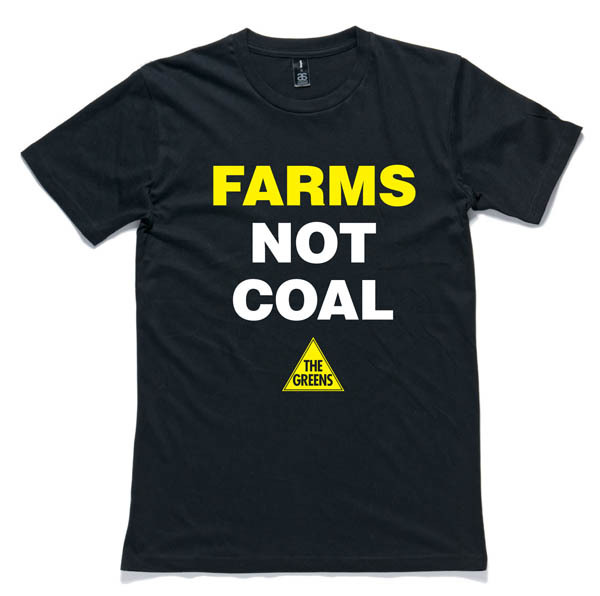 Clearly the ‘best of the best’ definition means that many farmers in NSW who are growing important food for the Australian community would continue to be exposed to the risk of mining and gas development on their land. Australia produces high quality food for local and international consumers but is increasingly constrained by water availability and loss of productive land because of urban and industrial encroachment. We simply can’t afford to lose more productive agricultural land to irresponsible development. While it is generally accepted that National Parks and conservation areas should be protected from mining and extractive industries, there has been a slower realisation that there is a need to preserve our food growing areas. We need to protect productive agricultural land in ‘food reserves’. The best definitions for productive land exist in the NSW Agriculture, Agricultural Land Classification publication. [iii] Protected land under the Responsible Mining Bill plans to included class 1, 2, and 3 land and specialist use land with a 5km buffer around those areas. Travelling stock routes and state forests are natural resources that have been put aside for the specific purposes to support grazing and stock management and in the case of state forests, a viable native forest industry for wood products. Often these areas are also important reserves for endangered ecological communities. To continue to diminish these natural assets by allowing exploration, mining and coal seam gas development will result in a long-term or possibly permanent loss of this land for those purposes. The Responsible Mining Bill would ensure if land is identified as a travelling stock route or state forest that it be maintained for this purpose for the long-term benefit of future generations and not be opened up for mining or gas development. Currently there is coal seam gas exploration and long wall mining occurring within Sydney’s drinking water catchment and there continues to be exploration licences in operation across many critical catchment areas. Pilot production for coal seam gas has recently been approved at Fullerton Cove near Newcastle close to the Tomago Sands Aquifer that is used to supplement drinking water supplies for the Newcastle community. The protection of water quality for domestic use, stock and irrigation and the health of our river systems is not something that can be risk managed. An aquifer cannot be fixed and a river once polluted is almost impossible to clean. In response to a question in parliament in 2011 the NSW Government acknowledged that historic antimony mining on the Dorrigo Plateau had deposited a plume of material containing heavy metals in the river system over a length of approximately 200 kilometres and that the plume would continue to release elevated levels of heavy metals for millennia[iv]. Clearly a precautionary approach is the only management technique available when it comes to protecting our water systems.The Responsible Mining Bill would not allow exploration, mining or gas production within 2km of river systems, productive aquifers and drinking water catchments. An important aspect of the Responsible Mining Bill is a provision to allow the community to make the ultimate decision about whether or not their village, town or region becomes a mining or gas precinct. The failure of the mining and gas industries to demonstrate that they can co-exist with other industries means that without the assurance of a veto, local communities and the long-term sustainable industries that support them, particularly agriculture and tourism will continue to be sacrificed. This discrepancy has been illustrated numerous times as communities are encroached upon by mines approved originally as ’boutique’ operations which over time have expanded to the point of forcing out other industries and turning some towns into a little more than a mine service centre. The Responsible Mining Bill would enable local councils to veto mining and gas activities through Local Environment Plans. The community can decide what mix of industries they want and where these industries can go. It removes the right of a State or Federal Government to over-rule a council’s decision about where extractive industries can and cannot occur but retains the responsibility with the State Government to ensure development occurs with suitable environmental and planning conditions. Jeremy Buckingham will spend the next three months touring NSW talking with mining affected communities, the mining industry, and local councils about the Responsible Mining Bill and taking on board community ideas to ensure the legislation can best deliver on community expectations. It is expected the bill would come before Parliament for debate in the first half of 2013 but with enough community support The Greens would move to bring the bill on for urgent debate in the Legislative Council. 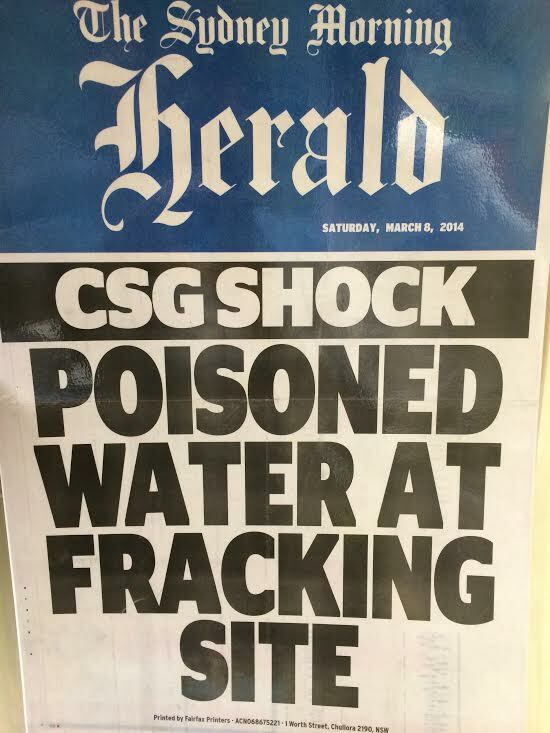 It is disappointing that after 18 months the O’Farrell Government seem no further down the track to protect land, water, health and communities from the impacts of mining and coal seam gas. The era of mining companies being given open access to NSW to profit from public resources at the expense of other industries, the environment, and community health needs to end. The Greens Responsible Mining Bill offers a real way forward to achieving that. Q. 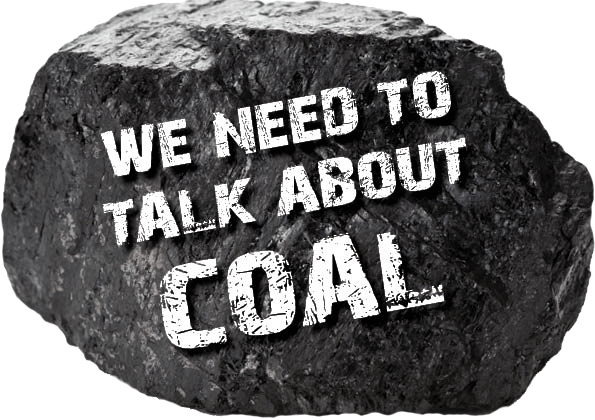 Does this bill allow coal and gas mining? A. This legislation does not specifically prohibit coal and gas mining but would restrict all types of mining in protected areas to ensure land, water and communities are not scarified by irresponsible mining. 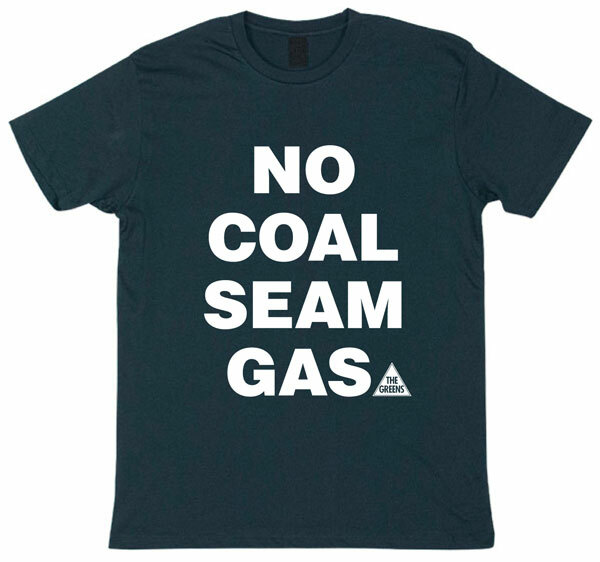 The Greens remain opposed to new coal and coal seam gas development and support a phase-out plan for existing operations. Q. Can the State Government over-ride a community decision to veto mining or gas development in a certain area? A. 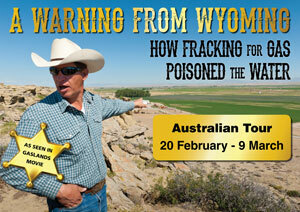 Under current legislation local councils do not have the ability to veto mining or gas development. The Responsible Mining Bill would create certain no-go zones but local council’s could then also exclude mining in other areas through their Local Environment Plan. The State and Federal Governments would not be able to over-rule these decisions. Q. Won’t this legislation cost jobs by constraining the mining industry? A. This bill will not stop any existing extractive industries so it will not cost current jobs. It will prohibit some projects already in the planning system so those future jobs will not be available. However by protecting land currently used for agriculture or supporting tourism or other industries, jobs in those long term and sustainable industries will be protected and grow as investment uncertainty for these industries is removed. Q. If council’s are given veto rights won’t mining industries just try to take over councils? A. The mining industry seems to have disproportionate influence over state and federal governments. The public feels excluded from these decisions because state and federal parliament seem so far away. By bringing these decisions back to local council the community can take responsibility for their own future and ensure they elect council representatives that reflect their hopes for that future. The recent ban on corporate donations to political parties in NSW means that mining companies cannot fund the political campaigns of council candidates. This offers significant protection from the mining industry trying to gain disproportionate influence over future councils.